When your babies are newborns and very young, you can have the twins sleep in the same crib. As they grow, they will each need their own crib but you can still have them in the same room. However, as they head toward their one year mark, you’ll notice that nap times are getting more difficult. 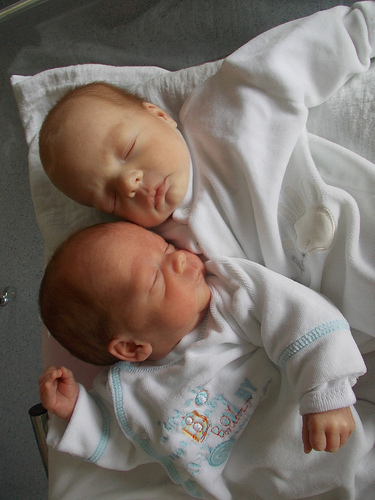 Your twins may not fall asleep like they used to. Now they babble and squawk at each other and neither seems to fall asleep quickly or at all. To help solve this problem, we turned to The Sleep Lady, who suggested we start separating the girls for nap time. Since we opted not to buy a bigger house when we found out we were having twins, we didn’t have a spare bedroom to put a sleeping girl in. So one girl stayed in her crib and the other went into a pack-and-play in our master bedroom. This separation was great. Both girls started falling asleep quicker and took better naps. When one girl woke up, the other could continue sleeping uninterrupted if needed. At bed time, the girls still both went down in their cribs in the same room. They would talk and chirp for awhile but we didn’t see the same problems that we did with nap time. After all, it’s easier to fall asleep when it’s dark and there aren’t as many fun things to do just outside their door like during the day when the sun is out and their brothers are running around. So if you’re having trouble with your toddler twins sleeping during naps, try separating them. You may then have a return to a quiet house where you can get all those “to-do” items done. Or just take a nap, too. We discovered this too when we switched our twins from cribs to toddler bed (convertible cribs). Naps during the day weren’t happening until we put them in separate rooms – one in bed and the other in a pack n play. But at night it’s fine so both are in toddler beds so then we keep them in separate beds but same room for night…’course, they often really end up on the floor or sleeping with the other twin we think. @Lenore – It is interesting how night time together works when daytime doesn’t. My guess is that daytime is play time and with twins, they are always looking for ways to play (or get into trouble) together. Yes we just did this recently with our twins as well. It has made a big difference with everyone sleeping at nap time once again! 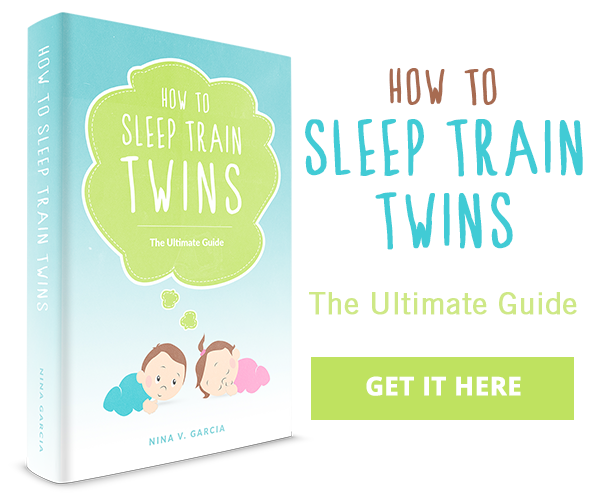 @Carmen – I’m glad you’ve found a better nap time sleep routine for your twins. As soon as we separated our twins, nap time went so much better that we wondered why we didn’t separate them earlier. We are starting this tomorrow. How do you decide who sleeps in what room? Any fun ways / ideas to rotate? @Jennifer: Once we stared, we stuck with the same girl sleeping in the same spot. This helped with the routine and expectations so they went to sleep more easily. When did you return them to the same rooms for nap time? @Stephanie – we had them separate for several months before reuniting them for nap time. Try it out with your twins and see what works.